Rescued Animals Enjoy Holiday Celebrations, Too : 13.7: Cosmos And Culture If you involve your pets in holiday festivities, you'll immediately get why sanctuaries and nature centers fuss over their animals at this time of year, says anthropologist Barbara J. King. A female snowy owl named LaGuardia at the Vermont Institute of Natural Science. In my house, we celebrate Christmas. In preparation, we selected a beautiful, aromatic Fraser fir tree for our den. This means that our five indoor rescued cats get to enjoy their annual holiday enrichment activity — climbing partway up through the branches, batting down ornaments, and attempting to shred the wrapping and ribbon from presents under the tree. Some chaos definitely ensues, but it's fun to see the cats so excited — and we've never yet had an outright tree crash like this one. Rescued animals are often given special holiday treats or activities at sanctuaries and nature centers, too. I sent email messages to three of my favorite places to find out what they're doing this holiday season. 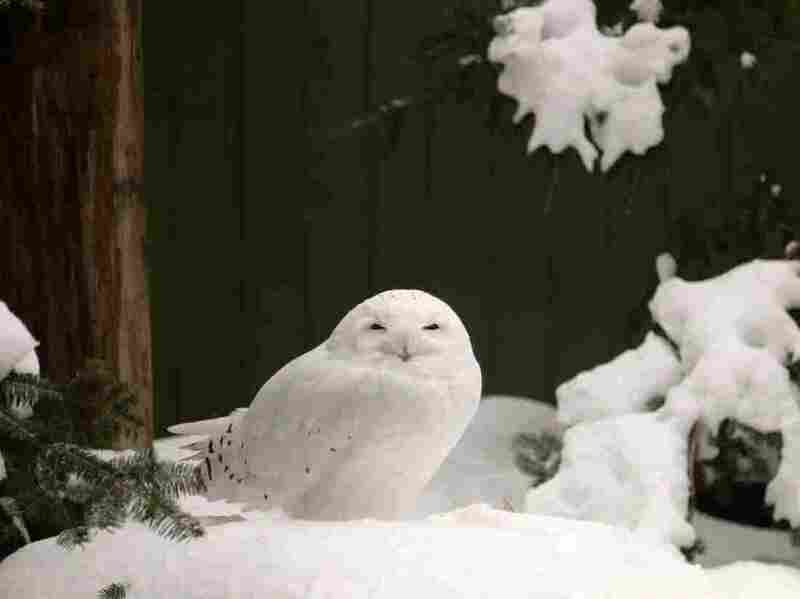 "Some 45 hawks, owls, eagles, and falcons who are non-releasable education ambassadors get the day off from seeing our inquisitive visitors, and are treated to heaping helpings of their favorite treats," which might include chicken, quail, duck, rabbit, rat, mouse, or fish." Staff members also construct a "Giving Tree" for wild songbirds and decorate the forest with high-fat and high-protein foods like peanuts, peanut butter, black oil sunflower seeds and mealworms. "We enjoy setting up and serving the animals holiday food platters. But instead of sugar cookies and candies, the treats include dried fruits, berries, and carrots for the goats and sheep; apples and pumpkins for the pigs; apples for the cows; and soft melons or other fruits for the birds. And there's gift-giving, too! Any of our goats or turkeys who need a new winter coat gets one, as this is also the start of our colder winter season. And, of course, as we do at every holiday, we give thanks for the most amazing beings in the world and realize how lucky we all are to have a secure and safe place to be. 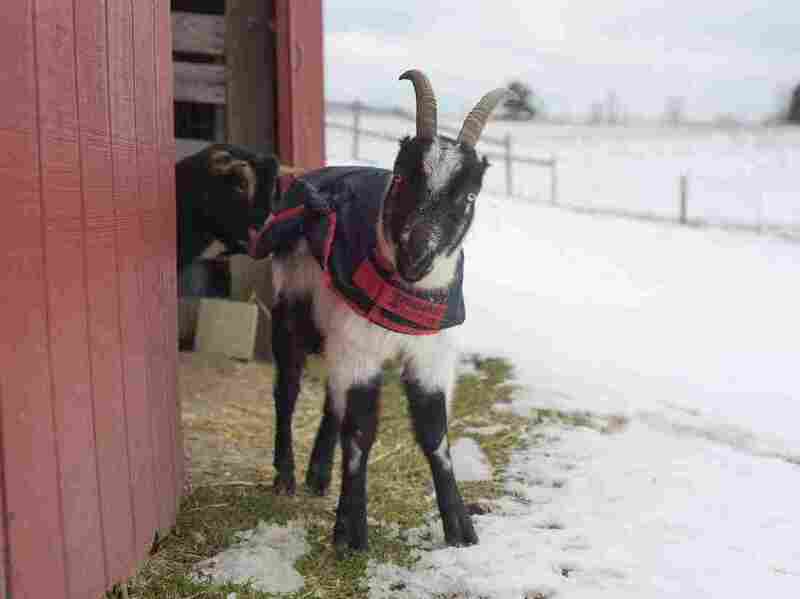 In reality, every day is a holiday for rescued farm animals — and they seem to notice." Goat Benedict seen at the Farm Sanctuary. "Enrichment for animals living in captivity is important on a daily basis, but it's also important to enrich the lives of our staff and volunteers who provide such loving care to these creatures. To meet the needs of both our humans and our chimps during the holidays, we go all out! 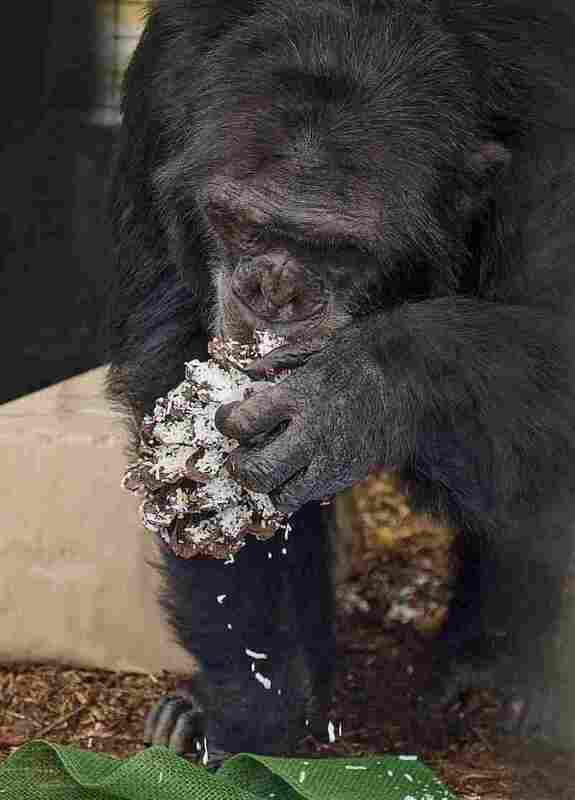 Our enrichment committee has dreamed up a winter wonderland enrichment day to be set up for the chimpanzees to enjoy. This will include pine cones rolled in peanut butter and coconut flakes, pomegranates, pine boughs, paper snowflakes, and even a papier-mache snowman!" Animals may suffer from boredom just like people can. At nature centers and sanctuaries like these three, strategic housing of individuals and year-round enrichment combats that possibility. It's just that at the holidays, all of us may be invited to indulge ourselves just a little more.